This model is 5' 9" and wears a size S. Their chest measures 34" and the waist 25". This bra offers light support for your daily workout. Made with sweat-wicking, fast-drying fabric, it features asymmetrical mesh panels for added ventilation. 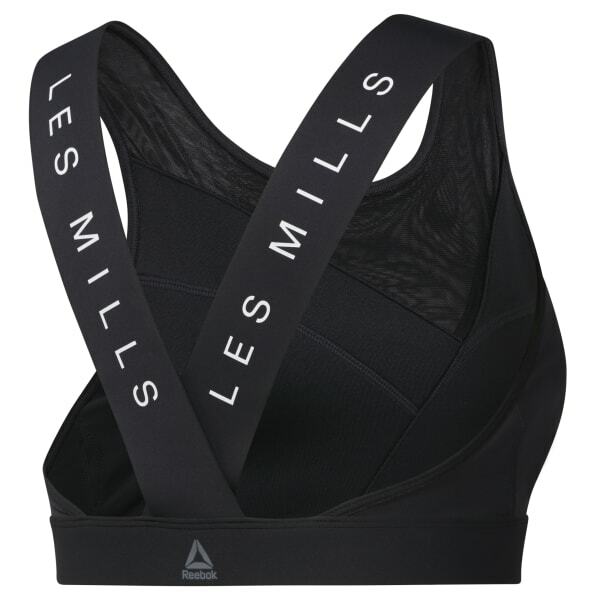 Thick straps in back show off a LES MILLS print.